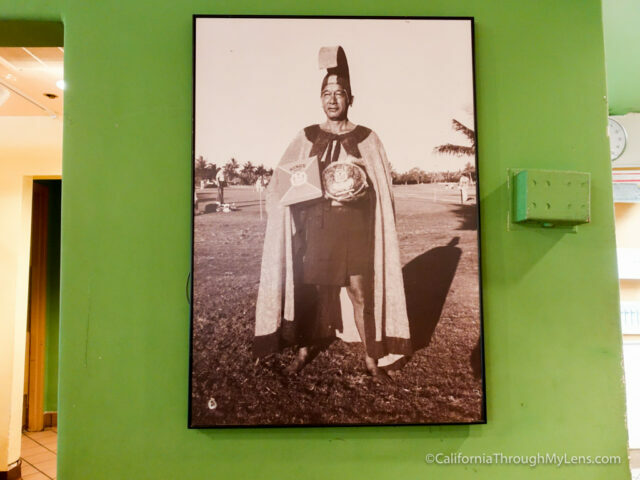 I am sure you have probably had the fantastic Kings Hawaiian rolls from the store, but did you know that the bakery is based in Torrance and that there are two restaurants where you can have some fantastic food made with the rolls, including French toast. If not then you must go, here is all the info. From the 405 Freeway North, you will get off on Crenshaw Blvd and take it south to Sepulveda Blvd. From there you will turn left, and the restaurant will be up ahead on the left. There is a large parking lot directly behind it. 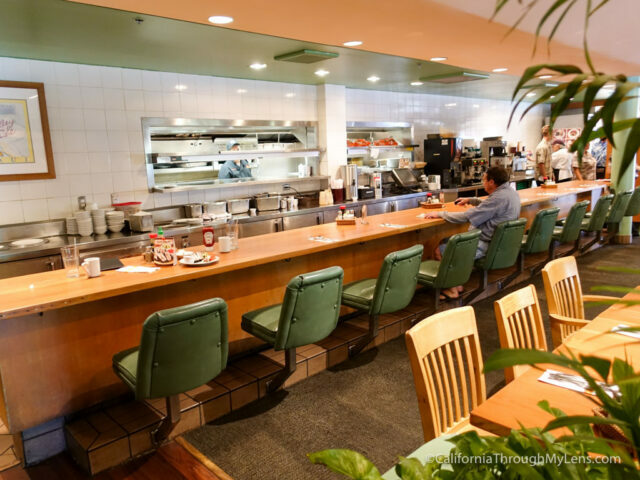 King’s Hawaiian Bakery and Restaurant is like any traditional diner with a counter and tables to sit at. 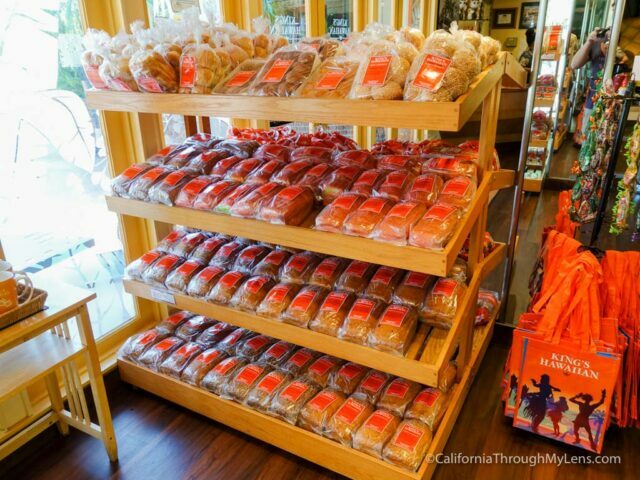 They have a large bakery where you can get everything from cakes to donuts, and you can also pick up the famous bread as well. 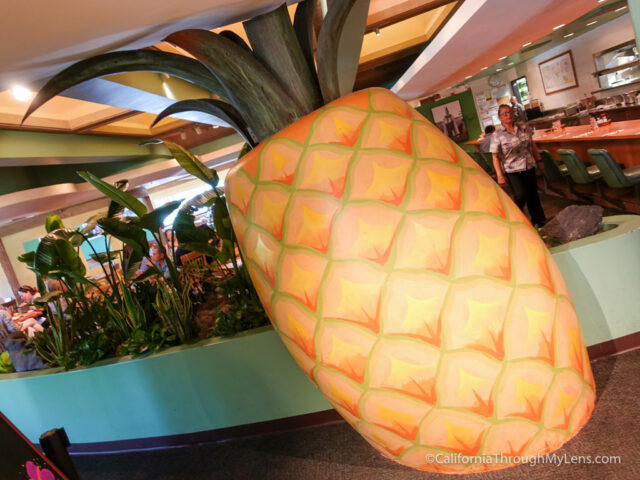 In the middle of the restaurant, there is a large pineapple; I am guessing since the company is Hawaiian, and there are fun old photos on the walls. The menu was pretty extensive, but I wanted to stick with the famous French toast, which I heard was amazing before I came. I ordered the “Big Island” which is a combo of French toast, eggs and a choice of meat. I went with Portuguese sausage since I had never had it before and it was a great choice. The sausage is cut like a kielbasa and has a nice spice to it which makes it come alive with flavor. The stand out here is the french toast though. The French toast is massive, and it has an excellent natively sweet taste in the bread, almost like a cinnamon roll. The bread is moist and practically melts in your mouth with like a gooey consistency. It sounds weird, but it’s fantastic. 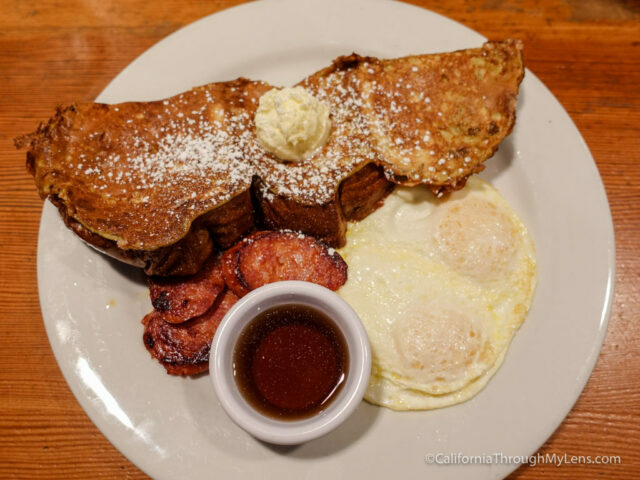 It is different than any French toast I have had before, and it is something I will no doubt come back to order again. 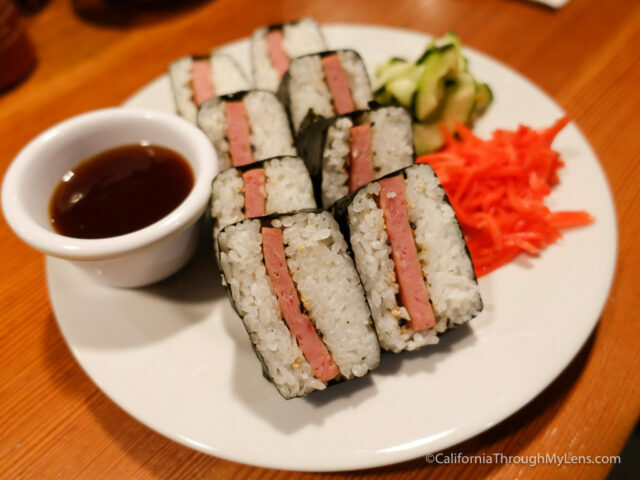 Spam musubi, AKA spam sushi, has fried spam inside of rice and seaweed paper. We only ordered it because there was a picture on our table and hadn’t had anything like it before. It came served like a traditional sushi roll, cut into eight slices and then served with teriyaki. I wouldn’t say I liked it, but it was much better than I anticipated it being. The salty spam is mellowed out a lot with the sweet teriyaki sauce. 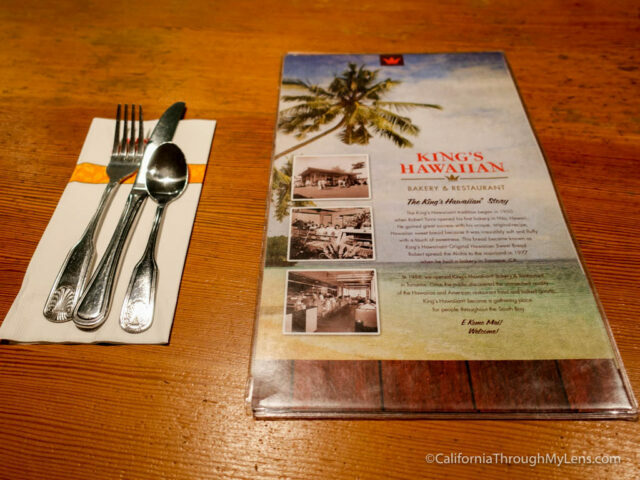 If you want a food adventure, then give it a try as it is a traditional Hawaiian dish. Torrance has a lot of good food options, but I wouldn’t hesitate to go here for breakfast again. The food is well priced and tasty, making it an easy recommendation in the city. 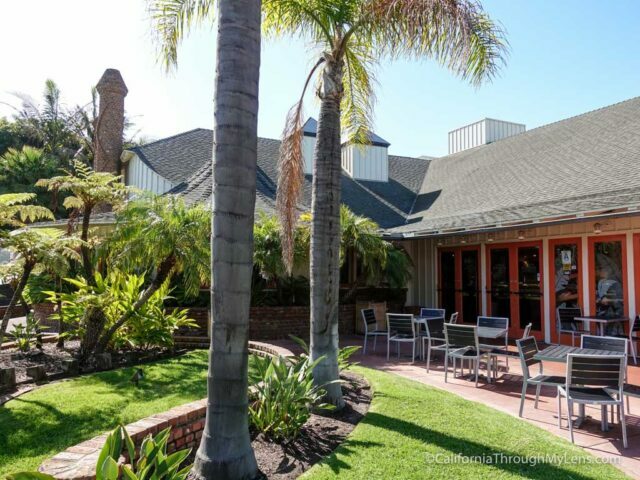 You can find more of my recommendations in Torrance here.